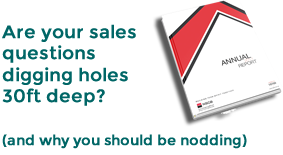 How does your Sales HUM sound? Ok, your Sales HUM is more a state of mind than a noise, but in our experience it can separate high performers from the rest of the field. On Friday night we had the honour and pleasure of being hosted by Air Vice-Marshal Ross Paterson, Air Officer Scotland, at 603 Royal Auxiliary Air Force Squadron Headquarters in Edinburgh, then at the Royal Edinburgh Military Tattoo, and again afterwards at 603 Squadron. I was invited in my capacity of Non-Executive Director of Heroes Drinks Company and I was accompanied by my partner Susan Mallinder.